Chinese are definitely persistent. In their own domestic market terms, they have huge and well-developed car industry, while attempts to concur outside the world were not so successful. After many crash test debacles, the foolish attempt of Qoros at European premium segment failed, an attempt of MG revival and other misfortunate happenings, we have to admit that Chinese have started to learn from mistakes. Upcoming Lynk &Co is nothing short of remarkable and worthy of the European market, while attempts at hypercar league have been successful from the start. 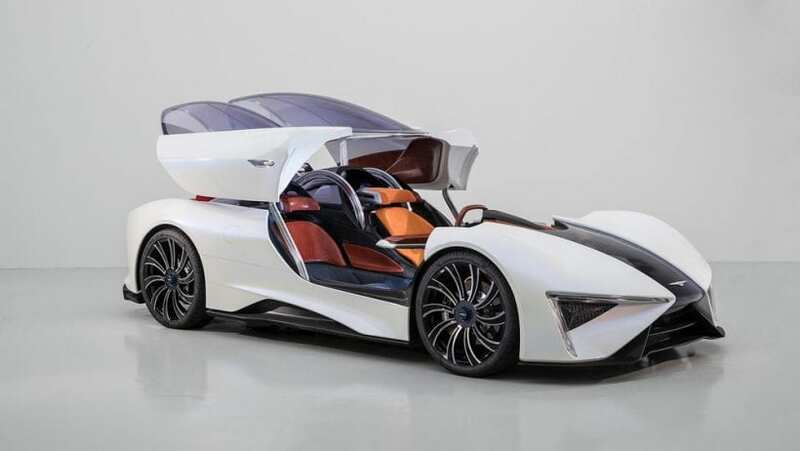 Nio has recently revealed EP9 electric hypercar which immediately broke many records, but it is track only thing. Now, prepare for first pure Chinese hypercar that you can actually drive on your way to work (?). It has arrived as 2018 Techrules Ren. Ren was previewed by concept one year ago, but the finished product is more futuristic than the concept itself, and we are not sure if something like that ever happened before. The design is way ahead of its time, and nothing similar is going to emerge in many years from now. We have jet fighter cockpit which opens upwards, totally made of glass with three bubbles as three persons could sit inside. Hood have glass middle part, so you can see some happening underneath. Lamborghini Veneno, Centenario and McLaren P1 appear as babies compared to its tail and rear diffuser, while something like a shark fin, previously seen on Veneno, found its place on it. This all sound menacing, but Ren has quite a dose of elegance. Also, it was styled by Giugiaro after all. Beautiful, long and ultra-thin laser strips as headlights, seductive wheel arches and turbine propeller shaped alloys, all add a significant amount of visual refinement to it. 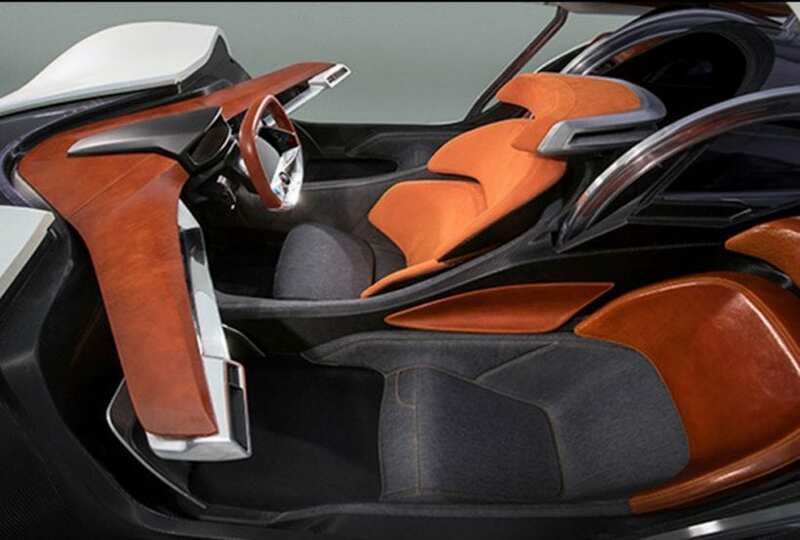 Interior is nothing less futuristic than the exterior, and this kind of thing so far only existed in the world of car concepts. We have three seats, driver seats in the middle, we have a couple of screens, one conveniently placed in the center of the steering wheel and total lack of any conventional buttons. Besides the use of leather, wood, and carbon on the inside, you find large areas covered by denim. Yes, that is the thing from what jeans are made of. There are speakers and microphones in seats for communication between passengers, but since they are sitting shoulder to shoulder, practical necessity is quite questionable. The same system could be used for a conversation to the outside world, although the exact purpose ‘s hard to understand. Prepared to be knocked down. Ren is maybe a Chinese car, but 1287 hp one! Torque peak? 1725 lb-ft (it’s not typo)! Biggest torque figure that world ever saw. It reaches 60 mph in 2.5 seconds and goes to 200 mph. It has six electric motors making that happening, three battery packs of 14 kWh, 25 kWh and 32 kWh capacity, and TREV. And TREV will quite baffle you. It is diesel powered turbine (yes, diesel) assisting electric system and it comes with two power outputs- 30 kW and 80 kW. An only electric range is decent at 124 miles, while the total driving range is 1243 miles in best configuration. Yes, there are more configurations, as you can get your Ren with two or four less electric motors. In the first case, you’ll have 858 hp and 1150 lb-ft, which is still outstanding and more than recently released Ferrari 812 Superfast has, but in the second case with only two motors in use, you’ll have 429 hp and 575 lb-ft. As for horsepower, that is BMW M4 category, and far from any supercar, so it should probably be avoided no matter how cheaper it is going to be. The thing to remember is that if you want one is the fact that only 96 examples will be built, and ten will be produced yearly. Pricing is still unknown, but it is hardly going to be six digit thing, which is more than justified. 2018 Techrules Ren is a groundbreaking thing, not just for China but for the whole world, as it offers Bugatti Chiron type of horsepower experience and latest word in powertrain technology.